Today is Earth Day, a global movement to inspire people to look at how we take care of our planet. In celebration of this year’s Earth Day, Sprouts Farmers Markets has sponsored today’s post. Sprouts gave me free range to talk about a topic that I want to bring attention to this Earth Day…. so I decided today was a great day to talk about my favorite sweet treat: CHOCOLATE! Chocolate has so many health benefits. It’s loaded with antioxidants that help reduce inflammation and keeps you heart healthy. Of course, you want to indulge on the dark stuff (try for 70% or higher) and eat chocolate only in moderation to keep sugar spikes at bay. Chocolate is not a low-calorie food, but it is a good treat to indulge on every so often. However, did you know that chocolate isn’t always produced in a way that is earth- and humankind-healthy? Traditional cocoa farms have been taken over by industry. Child slavery is rampant, particularly in West Africa, and low wage workers are being exploited by being forced to work long hours with minimal pay. Hershey’s sources much of its chocolate from West Africa; The Food Revolution Network wrote an in-depth article on Hershey’s chocolate and whether slave labor was used to produce its cocoa. Makes you not want to indulge in that chocolate bar after all, right? So if you want to indulge in a little chocolate – and you want to do so responsibly – read my guide to Fairtrade AND Gluten-Free Chocolates. You can get all of these chocolates at Sprouts – the selection is HUGE – and I thank Sprouts for allowing me to purchase and taste-test all these wonderful chocolate treats (tough job, but someone has got to do it!). Also, please note that organic cocoa, like fairtrade cocoa, is almost always ethically grown, produced and sourced. Just look for the right labels and you can enjoy chocolate and keep your conscious in check! 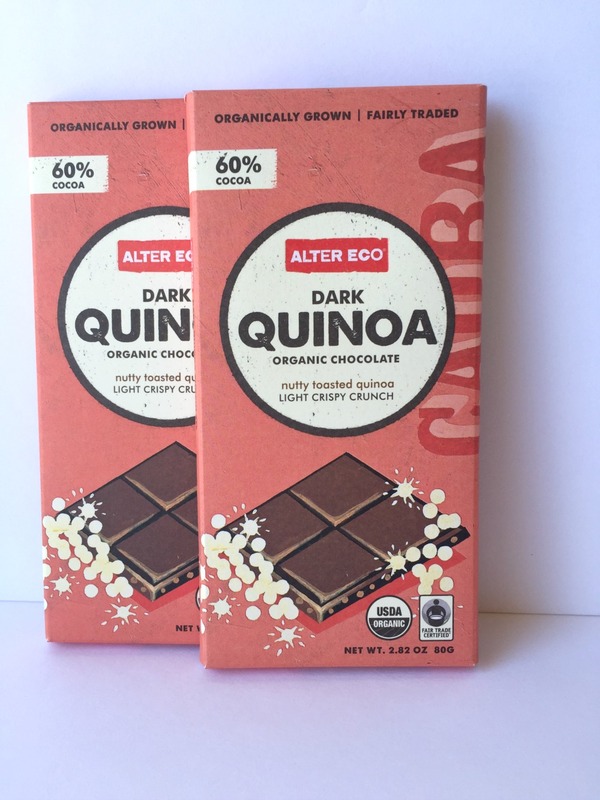 Alter Eco: Alter Eco Foods is not only on a mission to create delicious chocolate, but also on a mission to create ethical relationships with small-scale farmers and sustainable agriculture and business practices. The Dark Quinoa is delicious – adds a nutty crunch to your chocolate affair. These products are fairtrade certified, USDA organic certified, Non-GMO Project Verified, and Certified Gluten-Free. Learn more on the Alter Eco website. 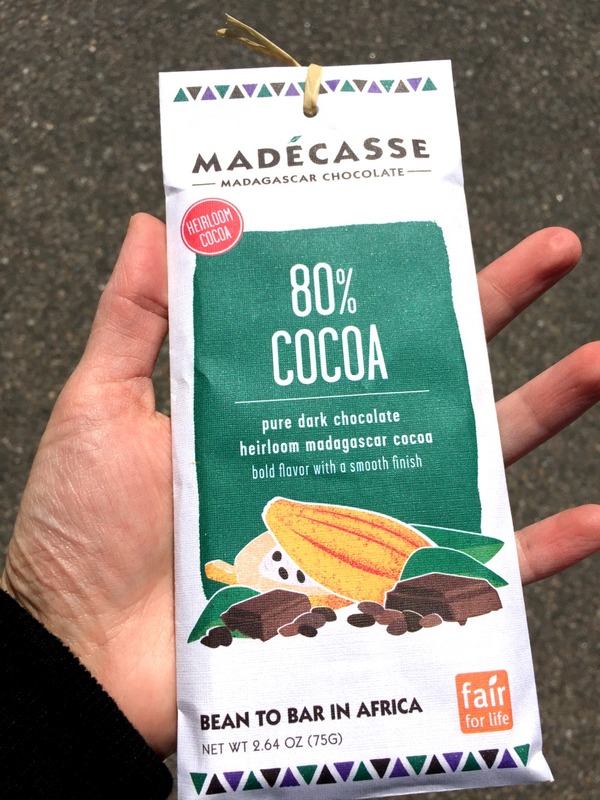 Madecasse: Madecasse chocolate is 80% cocoa make from heirloom madagascar cocoa. This chocolate has a bold, slightly bitter flavor. It is Fair for Life certified (at least 75% of ingredients are Fairtrade). It is NOT certified gluten-free, however, no ingredients contain gluten, nor is it made in a factory that also produces products with gluten. The packaging was irresistible so I had to take one home from Sprouts to try (and adore). Madecasse chocolate bars come in many flavors too – going to try the Salted Almond next. Learn more on the Madecasse website. 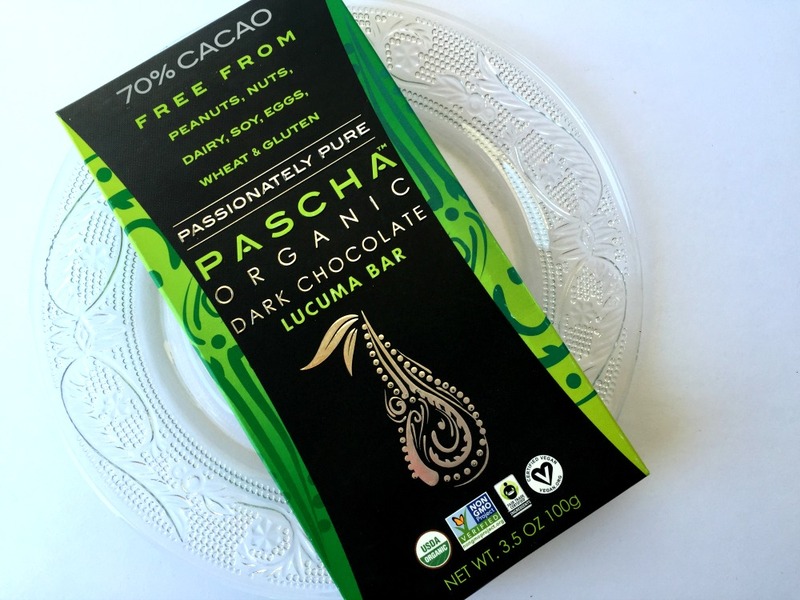 Pascha Organic: Pascha Organic makes allergen-free, 70% cocoa chocolate bars. The products are free from peanuts, nuts, dairy, soy, eggs, wheat and gluten (top 8 allergens). They are USDA Organic, Non-GMO Project Verified, Fairtrade Certified and Certified Vegan. The taste is also slightly bitter vs. sweet. Learn more on the Pascha website. 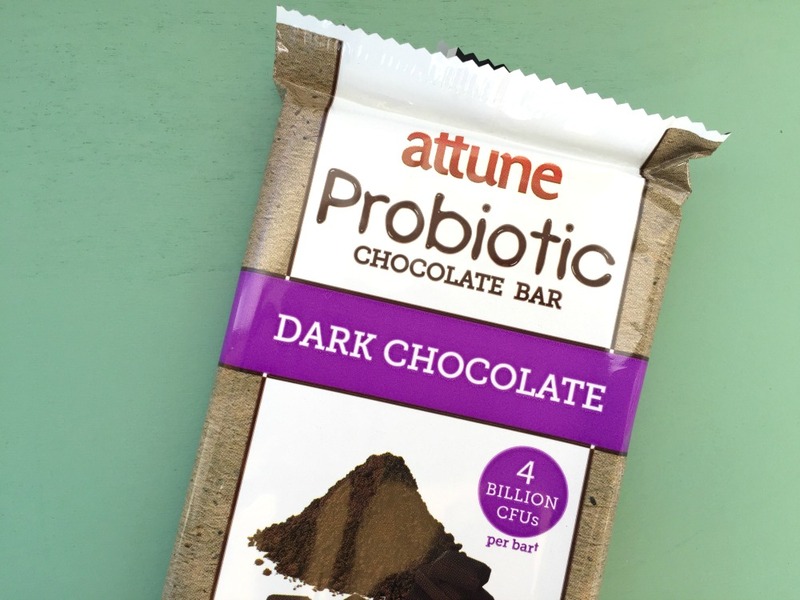 Attune Probiotic: The Attune Probiotic Chocolate Bar I brought home from Sprouts is 72% cocoa and made with 4 billion CFUs per bar to support immune health and healthy digestion – you can satisfy your sweet tooth and get a probiotic boost at the same time. I found this bar to have just the right amount of sweet for me too – yum! These are Certified GF. Learn more on the Attune website. 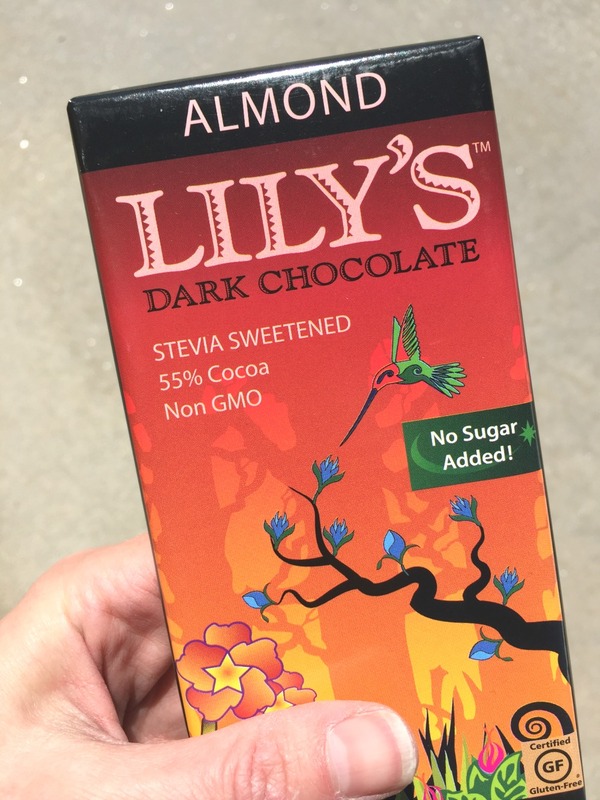 Lily’s: Lily’s Dark Chocolate is sweetened with stevia and the one I bought has 55% cocoa content. It’s non-GMO, Certified GF, and labeled Fairtrade. The chocolate is sweet and totally satisfying – not as bitter as some of the other chocolates on this list. Try the almond variety – so good! Learn more about Lily’s on its website. Endangered Species: Endangered Species Dark Chocolate’s motto is, “Indulge in a Cause.” Now that’s quite an invite, right?!? These chocolate bars are labeled Fairtrade, Non-GMO Project Verified, Certified GF, and Certified Vegan. Each bar beautifully illustrates how important protecting wildlife is to this company, as each bar features the face of an animal and denotes that the company donates 10% of its net profits to partner organizations that protect and preserve wildlife. These chocolates are bittersweet. 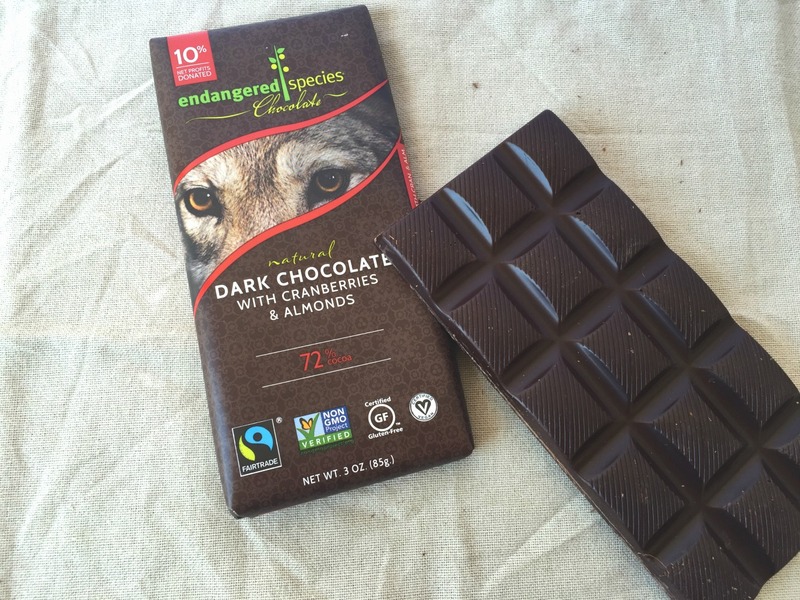 Learn more about Endangered Species Chocolate on its website. If you’re looking to indulge in a little chocolate sweetness this Earth Day – or any day – do so by supporting brands that support the environment, farmers and basic human rights for all. Happy [Gluten-Free] Earth Day! Disclosure: A special thank you to Sprouts Farmers Market for sponsoring this post and for supporting companies that bring ethically sourced products to market. Yay Sprouts!